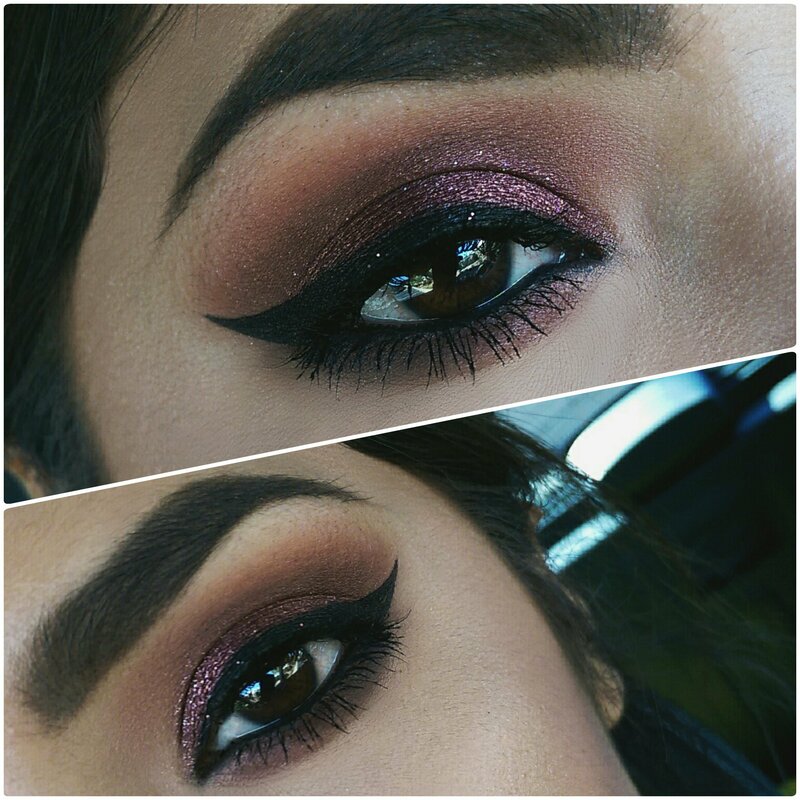 Posted on 04.01.15 04.01.15 by Alyssa K.
I used all MakeupGeek shadows to create this Spring-time look, with the foiled shadow as the main focus on my lid. You guys…let me tell you…this shadow is unreal. It’s the most beautiful shade of burgundy with brown undertones but when I apply it to my lid (with Too Faced Glitter Glue as a base) it turns the most amazing cranberry color with the absolute most gorgeous flecks of gold and purple iridescent sparkle. I can’t really explain it but it’s effing ridiculous. 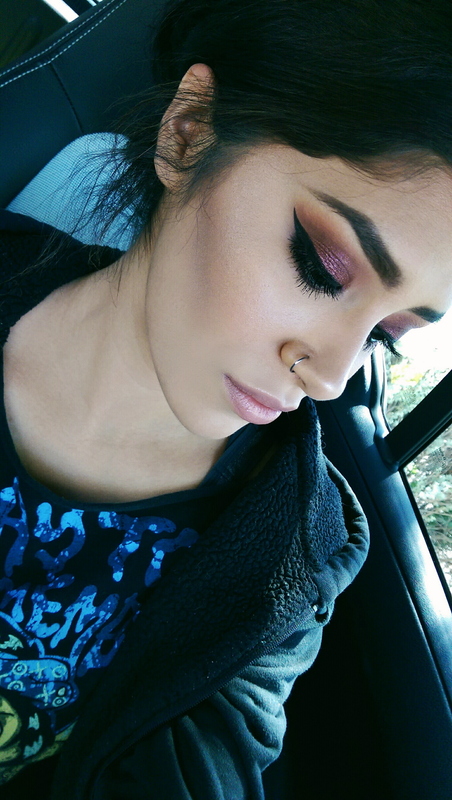 Here’s a look at all other shadows used, and the completed look. Happy Spring-time to everyone! I really like the use of colors, the look is very different, if you went lighter or heavier, you could use it really all year long, especially in California, there are no true seasons here, (we have fall and summer truly). Here’s a good laugh for you, so I am not a “Technical” person, the Internet was invented when I was in my mid-okay late 20’s, (Thank God). So, it took me 30 minutes to load two of your posts onto Pinterest, (I don’t Twit, Instagram or Facebook). I realize I did one picture four times. Sigh….. Don’t ask. I do know how to delete, the kids taught me. I know its pathetic, I am working on it. Yes yes! I’m originally from California. The weather is heavenly. I’m glad you were able to get the hang of WordPress! You will get better the more you explore! 🙂 Thanks so much for stopping by! Thank you! It’s become one of my favorite colors of all time. Your eye looks are always so gorgeous! I appreciate it so much, thank you. I wish I had the desire to do more pastel colored looks but I gravitate SO much to darker more smokey colors! I have heard of Younique before! I’m not a big fan to be honest. I ordered some of the pigments to support a girlfriend of mine who was having an online party. To be 100% honest for the price per ounce you get, I was really disappointed over-all. I appreciate the recommendation though!! This is true. I just felt like for $10 dollars a pop (almost $15 after taxes) for 1.1 grams of pigment that it fell short. 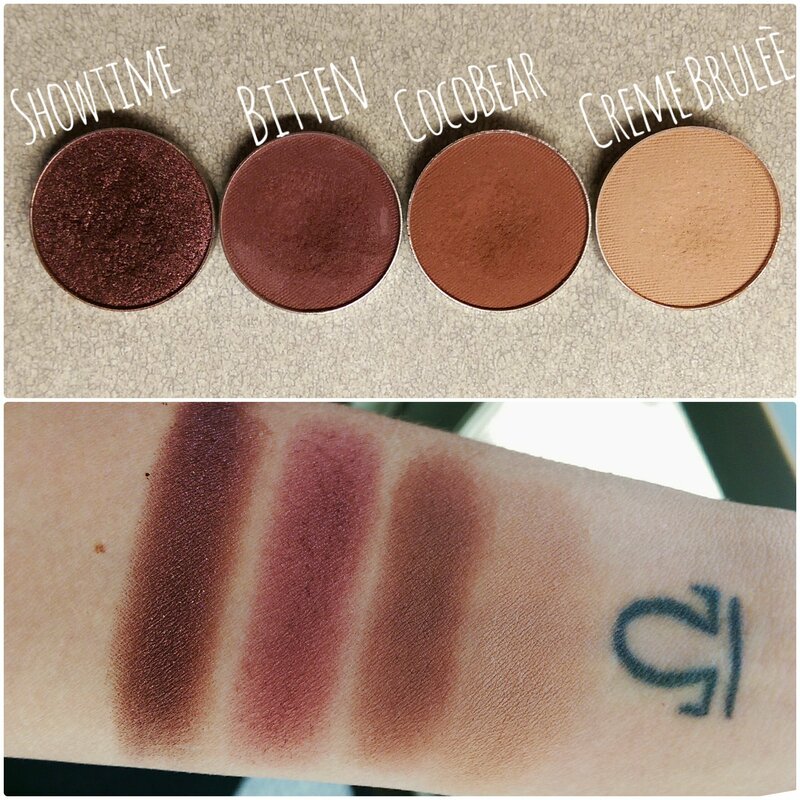 Especially when other cruelty-free companies like MakeupGeek can offer 1.5 grams of pigment for $6.99. But again, everyone has their vices and preferences! Very beautiful as always !